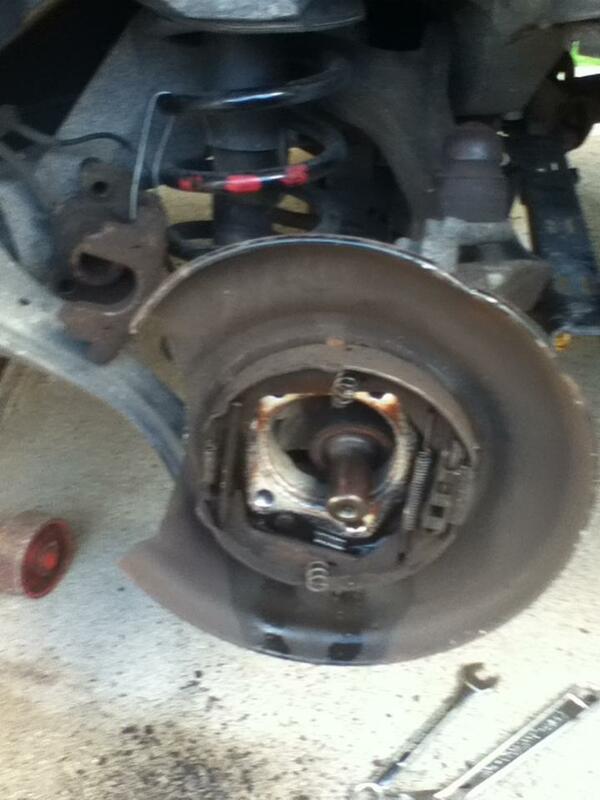 Well i just finished my drivers side rear wheel bearing replacement. I wanted to give some insight to the do it your selfer. 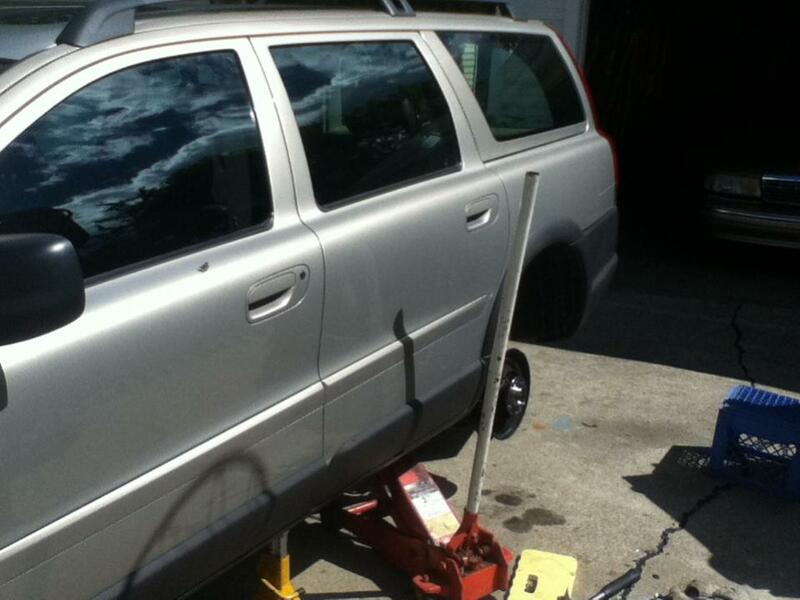 I have a 2001 V70 xc, with 175k on it, i just bout it in april of 2012. It started howling in july, and finally got bad enough to spend the $170 on a new one. Then you can take the bolt off in the center, for the axle, easy to take off, no issues with that. Locate the 4 bolts that you will need to remove, i was able to use a socket on 3 of the 4 bolts, the one on the bottom right side was a tough one, i had to use a wrench. 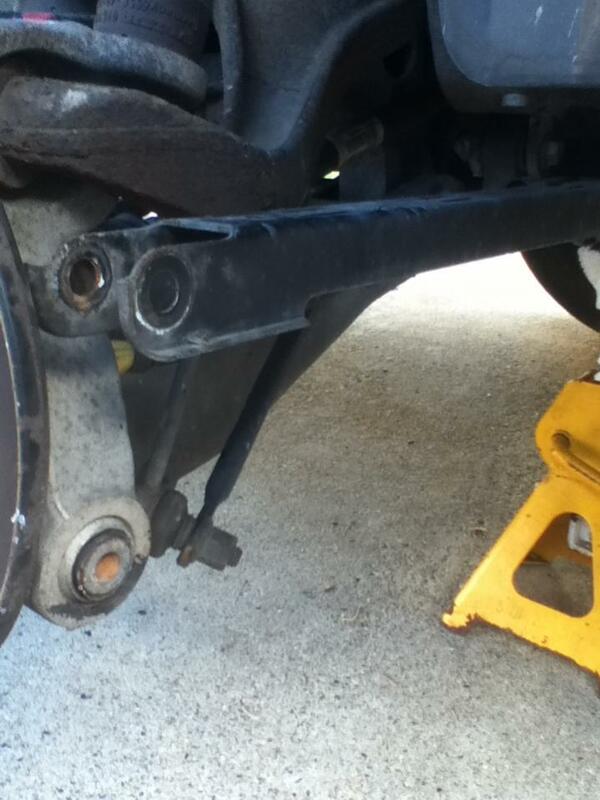 Now i have a pic of the "trailing arm"? that i disconnected to get more access to the last bolt. What i did was back the bolt out as far as i could, and with the other 3 out, i beat the assembly out till the last bolt was pulled forward as far as it could go, now i had enough room to loosen the bolt and free the assembly. That trailing arm was the only thing i removed to get the job done, the axle did not come into play. Hope this helps anyone thinking of working on a volvo themselves. Love this forum, it has helped me out alot. Good job. Looks like that was for the rear bearing. 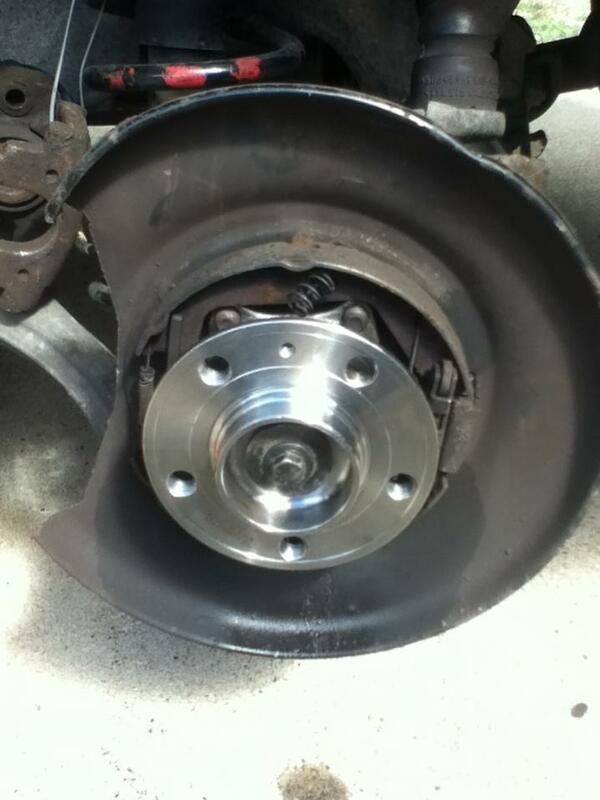 i believe it was a 10 o 12 mm, once you get the wheel of you can see in the back exactly what you have. On my S60 it's 18mm bolts. Those bolts need to be replaced, as well at the axle shaft 14mm center bolt because they stretch and might fail or became too weak to keep safe in place if torqued back to original specs. 40$/wheel all five. Important, support the axle with a wire, don't let it hung by the hub while the bearing is not in place. You might want to get the alignment checked now. The thing you disconnected was the rear stay which controls the rear toe on the car. You didn't take out the bolts that aligns the rear but its better to be safe than sorry.